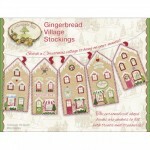 A Cottage Year Embroidery Kit Finished size 48" X 63"
A Year In Redwork - July by Buttermilk Basin. Finished size 8" square. A Year In Redwork - March Embroidery pattern by Buttermilk Basin. Finished size is *" square. 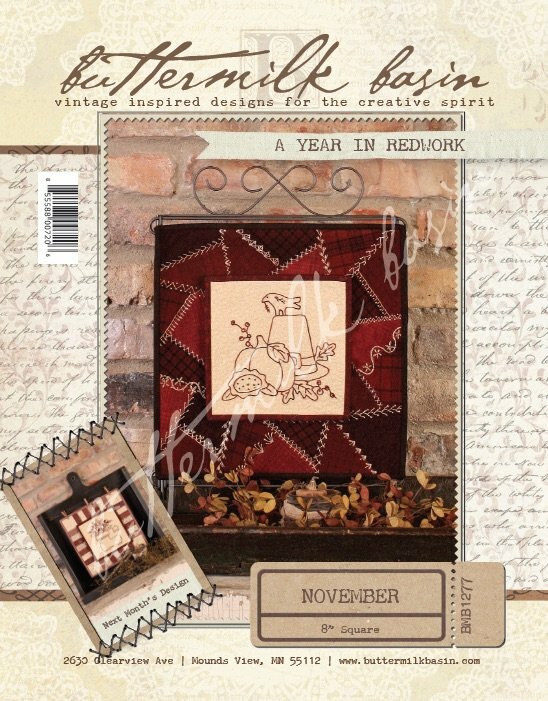 A Year In Redwork - December by Stacey West of Buttermilk Basin. Pattern finishes at 8" square embroidered block. A Year In Redwork - February Embroidery pattern by Buttermilk Basin. Finished Size is 8" square. 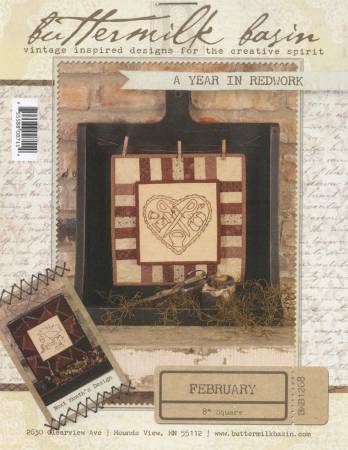 A Year In Redwork - January by Stacey West of Buttermilk Basin. Pattern finishes at 8" embroidery block. 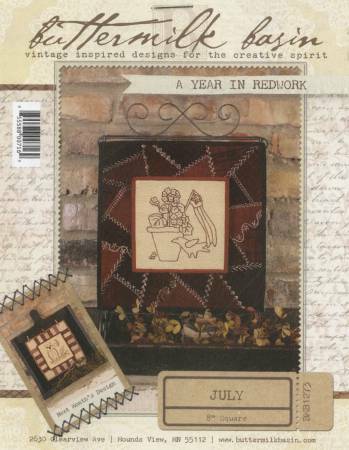 A Year In Redwork - June by Buttermilk Basin. Finished size 8" size. 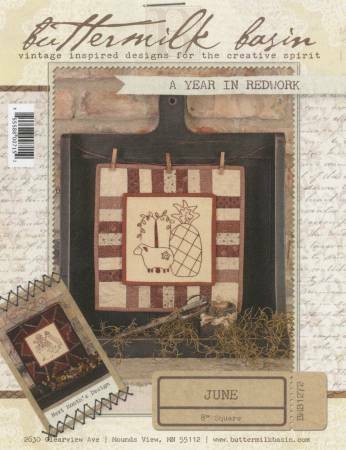 A Year In Redwork - May by Buttermilk Basin. Finished size 8" square. 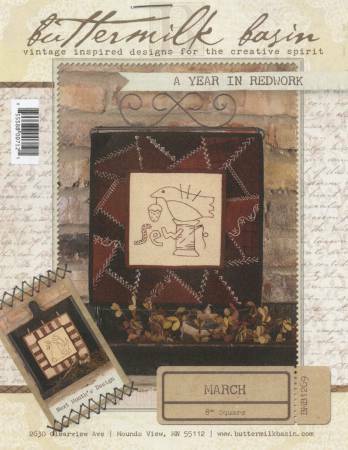 A Year In Redwork/April by Buttermilk Basin. Finished size 8" square embroidered. 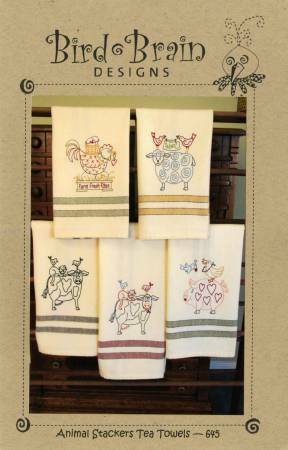 Animal Stackers Tea Towels by Bird Brain Designs. Design areas are approximately 5" x 5". 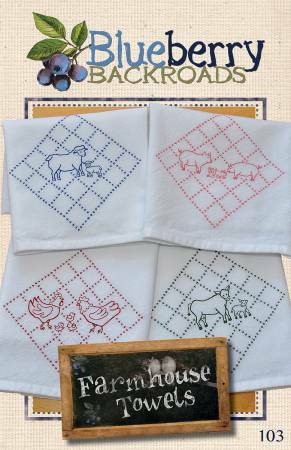 Embroider "stacks" of barnyard animals to decorate your kitchen! 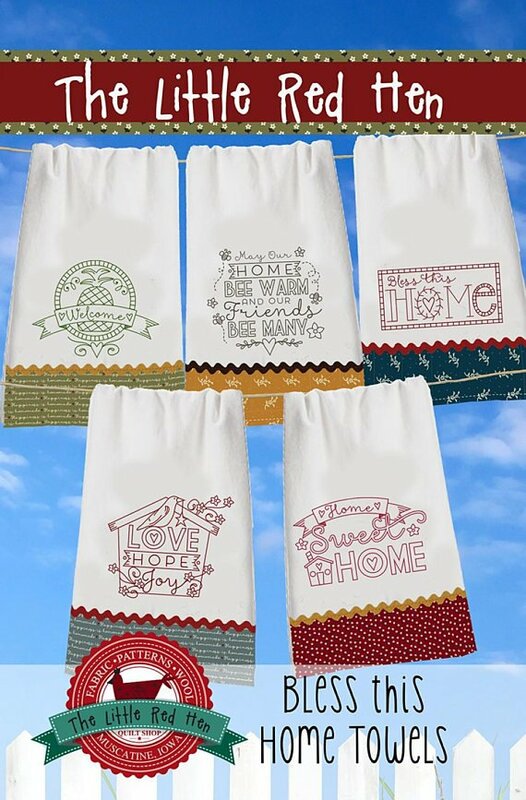 "Bless This Home" is a fun pattern project by The Little Red Hen featuring hand-embroidery towels with accents of cotton fabric and rick rack. 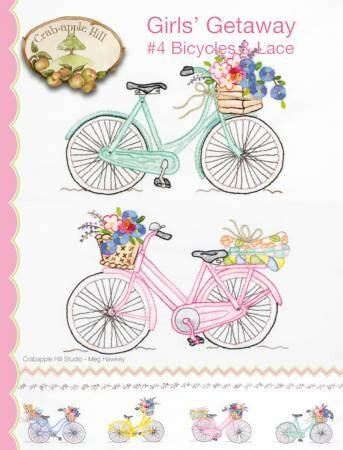 Boho Sweet by Crabapple Hill. Finished quilt size 51 1/2" x 51 1/2". 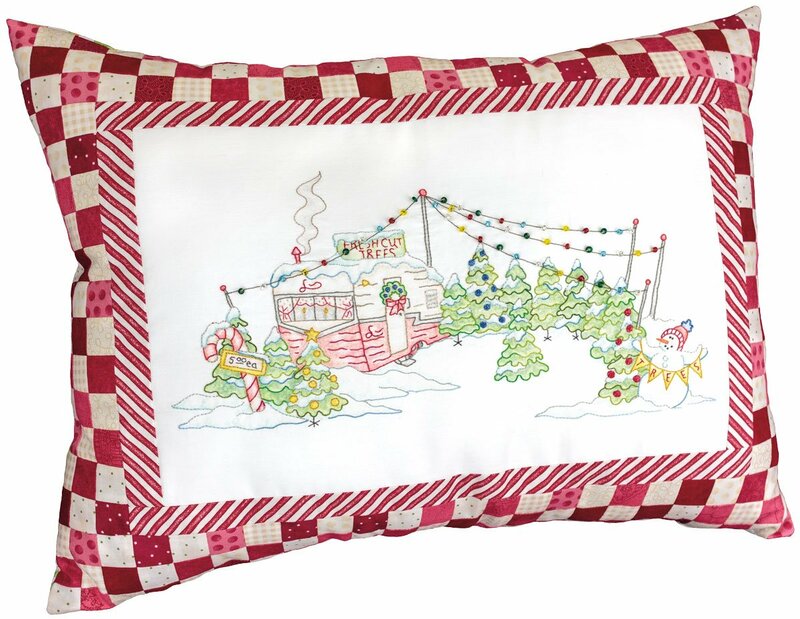 Candy Cane Tree Lot Pillow Pattern 24"x18"
Christmas Tea Towels by Bird Brain Designs features six Christmas themed embroidery patterns designed for tea towels. Design area is approx. 3"x5". Floss not included. 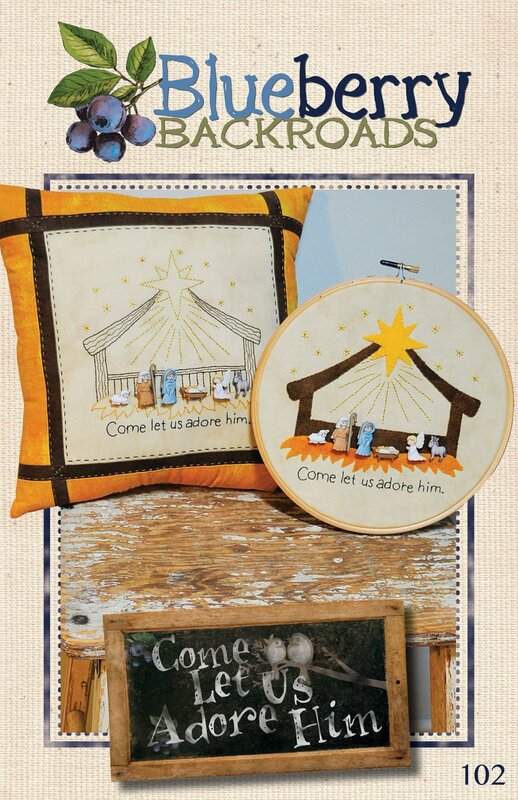 Nativity buttons gather 'round in this adorable Christmas stitchery. 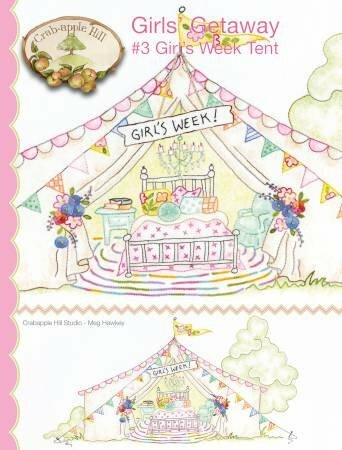 Pattern includes one set of buttons along with instructions to make this with all embroidery or applique. 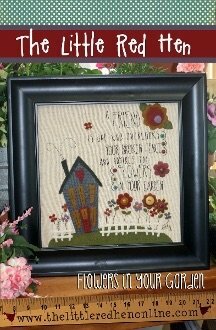 Finish as an 11.5"x11.5" pillow or frame yours in an 8" embroidery hoop. 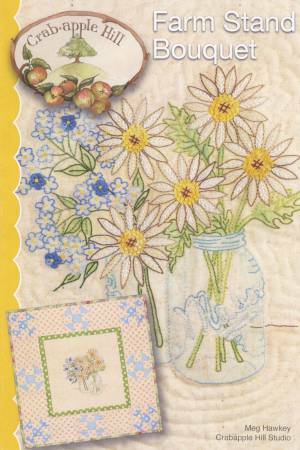 Early Riser embroidery pattern. Finished size: Good Morning Rooster 11 3/4" x 11 3/4" ; Hen & Check 10" x 12 1/2". First Snow embroidery pattern. Finished size candle mat 13 1/2" x 13 1/2". 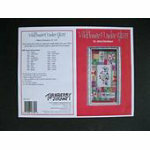 Finished size pillow or wall hanging 7" x 7"
The Little Red Hen Flowers in your Garden Embroidery Kit. Approximate Finished Size 12" X 12". 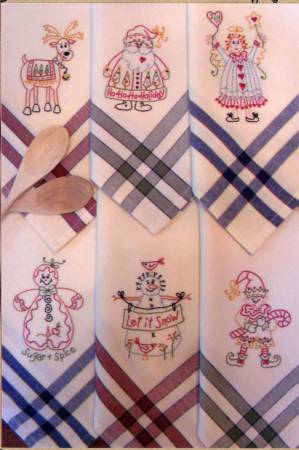 Fresh Picked Tea Towels by Bird Brain Designs. Design area approximately 4 " x 4 1/2". 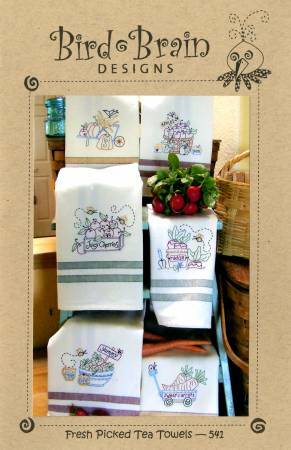 Six colorful tea towels to perk up your kitchen featuring oversized fruit & veggies! 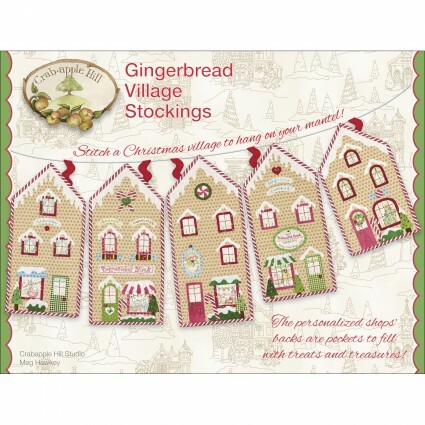 The shops and houses in this darling village can be filled to their rooftops with little gifts and candies. Sizes are 9" wide by any length you'd like. One story or a high rise apartment, it's up to you! Girls' Getaway #2 Clawfoot Tub Image Finished Size 6 3/4" x 8 1/2"
Girls Getaway #3 Tent Image measures approximatley 16"x8 1/2"
Today we are all going to get on our bicycles and check out the nearby town! 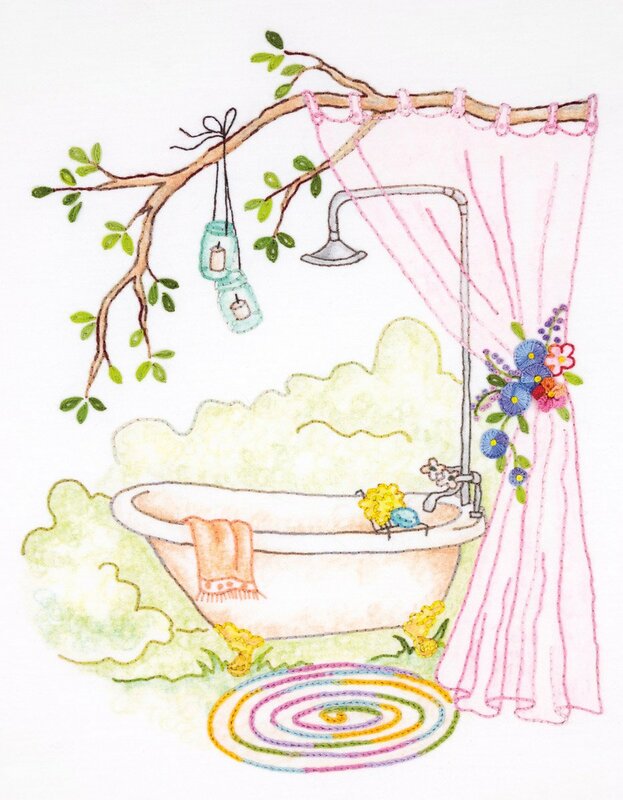 We will fill our baskets with wine and food for a picnic... quilts to spread on the grass... and all of the goodies we find on our shopping excursion! Sounds like fun to me! 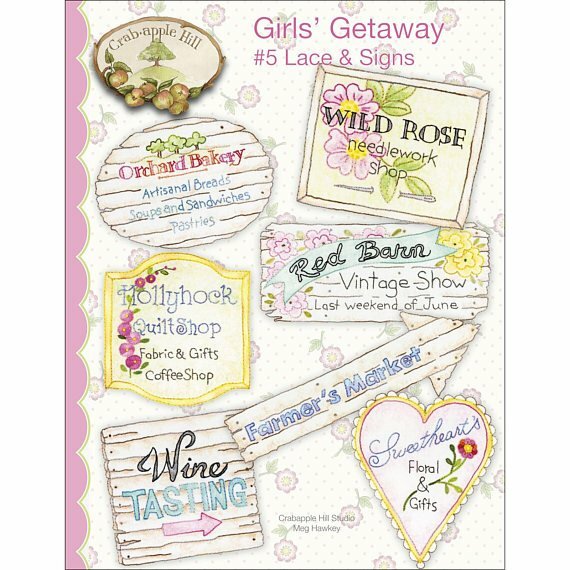 The fifth installment of Crabapple Hill Studio's Girls' Getaway series. 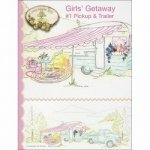 #2553 - Girls' Getaway #1 Pickup & Trailer by Crabapple Hill Studio pattern. Finished size approximately 31" x 12 1/2". 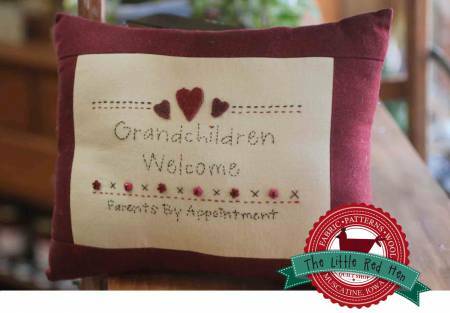 "Grandchildren Welcome--Parents By Appointment" embroidery pattern by The Little Red Hen. Finished embroidery size is 8" x 5 3/4". 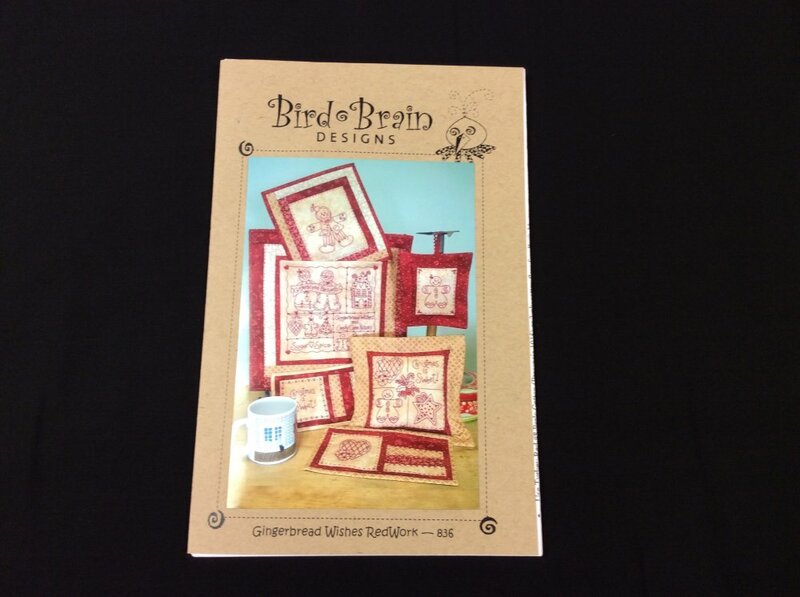 You can even add 2" borders to make a pillow! Floss not included. 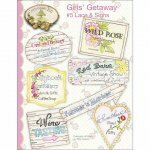 Hook, Line & Sinker Block of the Month Complete Set. 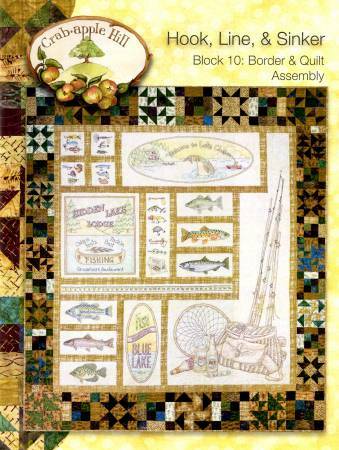 Color and embroider the blocks then set them together to make a 64" by 73" quilt for your favorite fisherman!